Certain vitamins are natural energy boosters. It's crucial to consume at least the recommended dietary allowance (RDA) or adequate intake level (AI), and more in some cases, for these essential vitamins and minerals to give you that extra pep in your step. MedlinePlus notes that B vitamins are crucial for energy production because these essential nutrients help you utilize (metabolize) energy from foods. The University of Maryland Medical Center says B vitamins convert the carbohydrates, protein, and fat you eat into energy and are needed for proper nervous system and brain functions (including mental alertness). Furthermore, being deficient in vitamins B6, B12, folate, or iron can cause anemia, leading to extreme fatigue. That's why B vitamins are often used in energy-boosting vitamin combinations, beverages, and other dietary supplements. To maximize energy levels from B vitamins, consume at least the RDA or AI from vitamin B-rich foods or supplements, but don't exceed the tolerable upper intake level (UL) if there is one. Doing so can be dangerous. Vitamin B1 helps convert carbohydrates to glucose, which your body uses for energy. Eat plenty of vitamin B1-rich foods and take supplements if your diet lacks sufficient B1. Vitamin B2 helps release energy from proteins and aids in red blood cell production. Eat vitamin B2-rich foods and be sure to meet recommended dietary allowances for B2. Niacin (B3) helps convert food to energy and is found in a variety of B3-rich foods. As with other B vitamins, pantothenic acid helps break foods down into energy. Eating B5-rich foods or taking supplements helps you meet daily B5 requirements. Vitamin B6 helps your body break down proteins, keep blood sugar in check, and makes red blood cells. A deficiency in B6 could lead to anemia, which drains your energy. Eat B6-rich foods or take B6 supplement to meet your body's needs. Your body uses biotin when it breaks down energy for food (as with other B vitamins). Eat biotin-rich foods or take multivitamin supplements containing biotin to prevent a deficiency. A deficiency in vitamin B12 often causes anemia, which makes energy levels drop. Aim to eat a variety of B12-rich foods, take B12 supplements, or receive B12 injections if your doctor recommends it. Folate-deficiency anemia can also drain energy levels, notes MedlinePlus. That's why eating plenty of folate-rich foods (or taking a multivitamin supplement containing folic acid) is a must. As with the B vitamins, choline is involved in nutrient metabolism, energy transport, and neurotransmitter synthesis, according to Linus Pauling Institute. Because of this, getting plenty of choline in your diet is crucial to stay energized. Choline-rich foods include meat, seafood, fish, eggs, wheat germ, green veggies, milk, nuts, and nut butters. As with B vitamins and choline, vitamin C is involved in neurotransmitter synthesis and metabolism, which provides you with energy and maximizes mental alertness. That's why including plenty of vitamin C-rich foods in your diet daily is a must. Your body needs iron daily to make protein in red blood cells that carry oxygen. Without sufficient dietary iron, you can become anemic and experience severe fatigue. That's why iron is necessary when you want to stay energized. Include iron-rich foods in your diet daily or take a multivitamin supplement containing iron. Zinc plays a role in proper thyroid function, which helps regulate your body's metabolism. Likewise, the University of Maryland Medical Center says zinc deficiency can lead to depression, which can drain energy levels. Make zinc-rich foods a priority and make sure your multivitamin supplement contains zinc if your diet is lacking. Because magnesium is involved in energy metabolism and blood glucose regulation, this essential nutrient is necessary to maximize energy. To get your daily dose of magnesium, eat plenty of magnesium-rich foods and make sure this essential nutrient is in your daily multivitamin. Iodine is used to make thyroid hormone, which helps regulate your body's metabolism. Iodine keeps you energized because without enough of it, you can get hypothyroidism and extreme fatigue. A variety of foods are rich in iodine, but only certain multivitamin supplements contain this essential mineral. 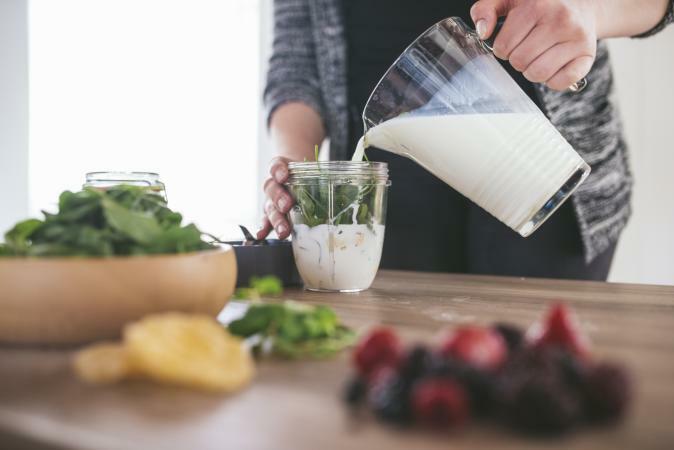 It's generally best to get the majority of essential vitamins and minerals from healthy foods, but supplementation is often necessary to ensure you're meeting daily nutrient needs to maximize energy and feel your best. While consuming excess vitamins and minerals from supplements can be dangerous, you don't have to worry about vitamin or mineral toxicity from eating nutrient-rich foods. 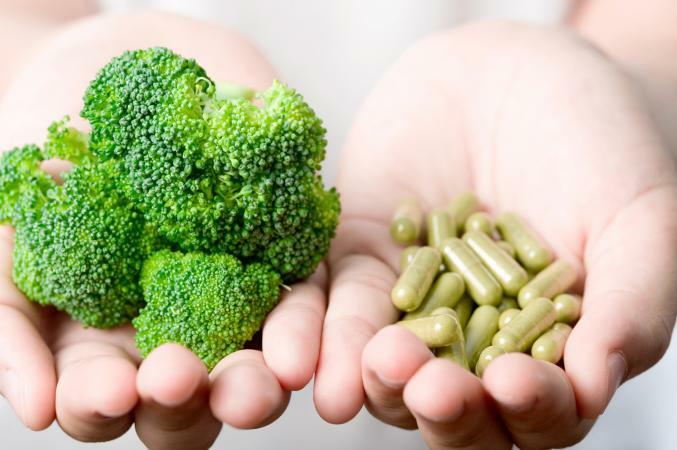 There aren't specific recommendations for energy-boosting vitamins and minerals other than RDAs and AIs (recommendations estimated to meet the needs of most healthy people). Catherine Champagne, Ph.D., R.D.N. and Marie Caudill, Ph.D., R.D. with Men's Health Magazine say getting extra energy-boosting vitamins doesn't increase energy levels unless you're deficient in these nutrients. If you do suffer from a vitamin or mineral deficiency, your doctor may recommend high-dose supplements to get your levels back on track.